Music composers are not just music composers and we have some good examples from the past and present. There was Kishore Kumar, then Udit Narayan who has produced a Bhojpuri film; music director Shravan had turned towards producing films and last but not the least Himesh Reshammiya who has several television serials…. But now what we are going to share is much more exciting…. The latest buzz is that music maestro A R Rahman will soon turn a producer and will make films under his newly launched production company Y M Movies. “Talks are currently on,” say sources in the know. 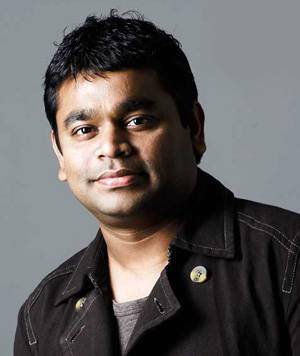 “Rahman’s first production venture will be a musical entertainer, and will be a new age cinema. Like how the Oscar-Grammy winner changed the rules in film music, movies produced by him will set a new trend,” they added. “It was a longtime wish of the music maestro to produce movies, but he was prevented by his busy schedule. He has now finally decided not to delay his decision anymore,” another source said. Aishwarya’s ‘Heroine’ unveiled @ Cannes!